Toyota Motor Corporation has been recognized by the ASEAN New Car Assessment Program or NCAP at the recent ASEAN NCAP Grand Prix. The bi-annual awards ceremony recognizes the achievement of cars involved in the ASEAN NCAP in the last two years. The awards consist of three main pillars: Best Occupant Protection, Best Safety Technology, and Special Awards given to vehicles and/or companies that are spearheading safety in the region. In total, 8 vehicles from Toyota were recognized including 3 vehicles which match Philippine specifications. Apart from doing well in occupant protection, Toyota was also presented with an award for its Blind Spot Monitor which has been cited by the ASEAN NCAP to have avoided potential accidents by alerting drivers to oncoming vehicles that may be in their blind spot. 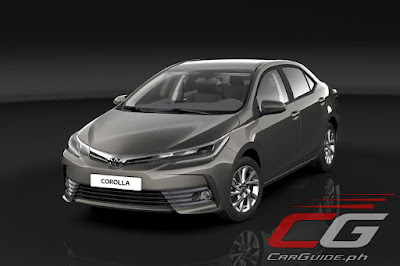 Furthermore, The Corolla Altis has been given the “Rising Star Recognition” as Toyota has standardized Vehicle Stability Control or VSC and 7 airbags across all ASEAN markets and across all model grades beginning November 2016 onward. Toyota considers safety as one of its top priorities and aims to eliminate traffic fatalities altogether. To achieve this goal, Toyota has been developing safety features and conducting extensive R&D on safety which involves conducting crash tests and simulations of its own and analyzing the results to continually improve its safety features. Toyota is proud to achieve these awards from ASEAN NCAP and will continue to work with stakeholders in the region to achieve its goal of zero traffic fatalities. "Toyota considers safety as one of its top priorities"
ahahahaha typical toyota, how much did they pay NCAP this time? That's what I've been thinking as well. Considering their vast amount of capital, they can easily pay off these kinds of tests.